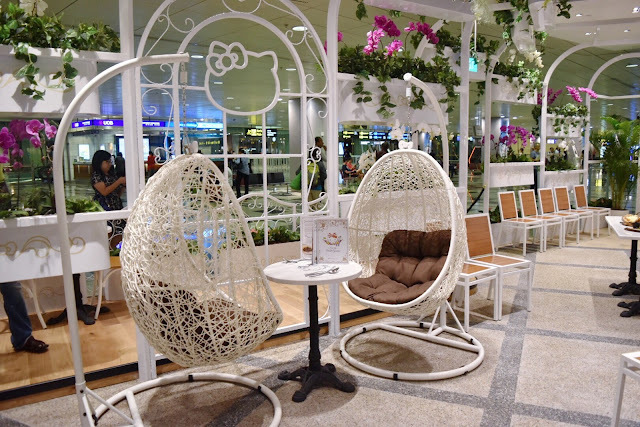 Hello Kitty Orchid Garden Cafe Review: First Hello Kitty Cafe In Singapore At Changi Airport Terminal 3! 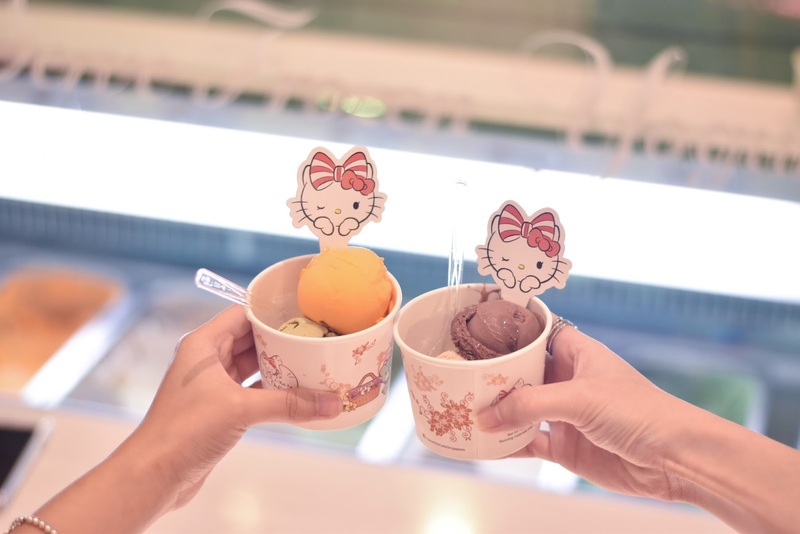 Fans of Hello Kitty, unite! The Hello Kitty Orchid Garden cafe has officially opened its doors at the Terminal 3 Arrival Hall of Changi Airport. 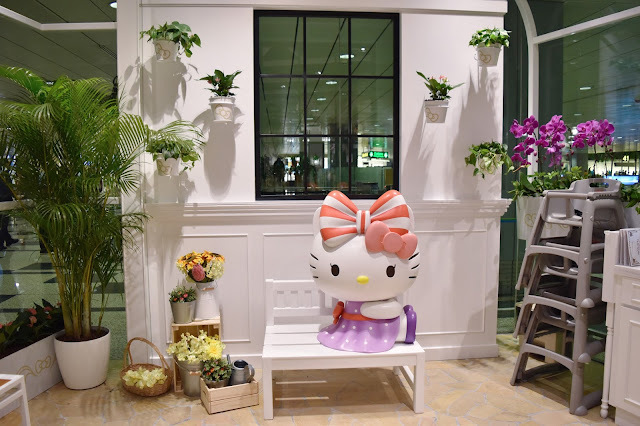 The first Singapore-themed Hello Kitty cafe operates for 24 hours, offering locals and tourists an around-the-clock respite! 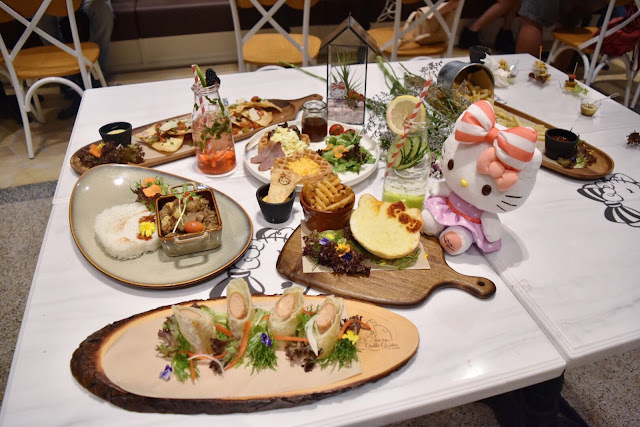 Set in a whimsical paradise setting, the cafe offers an array of food and beverage choices which will certainly leave all Hello Kitty fans sated. The Hello Kitty Orchid Garden is adorned with pots of fresh Orchid flowers, which is also the National flower of Singapore. 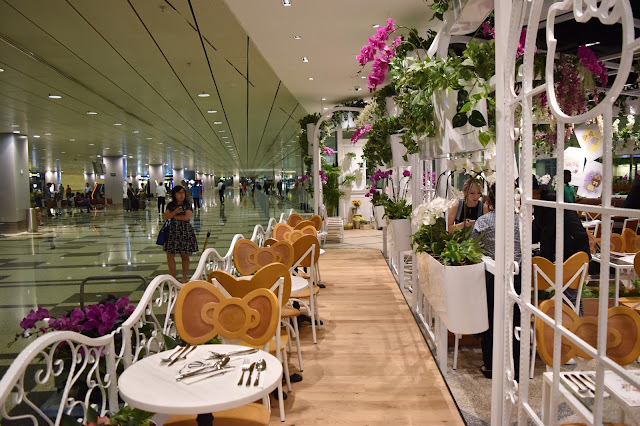 The cafe is specially designed to emulate the country's "garden city" vibe for a uniquely Singaporean aesthetic which also resembles that of a glass house. The spacious interior is dotted with iron swings and splashes of greens, exuding an idyllic vibe which adds on to the fun and easy mood! Here, you can also pose for pictures with the very first double bowed Hello Kitty! 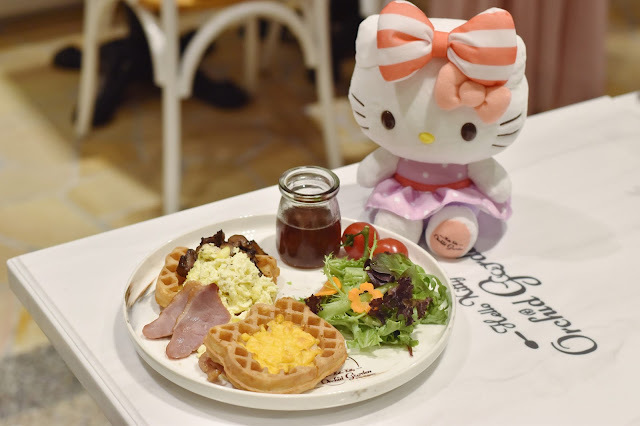 For the Hello Kitty fans, you would also be thrilled to know that you can also take home a Singapore-exclusive Hello Kitty merchandise which will be launched seasonally. 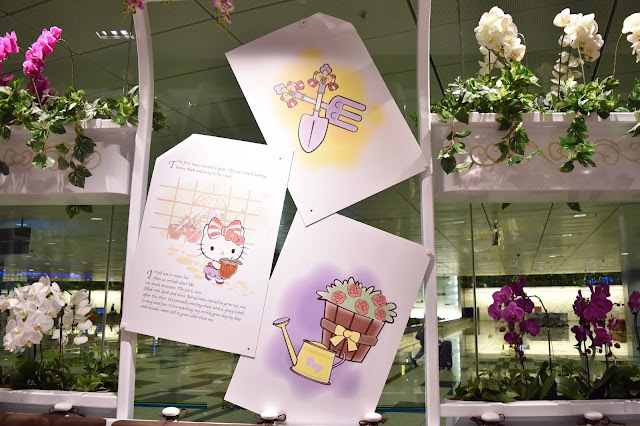 You can also expect Hello Kitty inspired tea blends, plush toys (that I heard are limited to 2 per person), grow-it-yourself plant kits and also postcards! 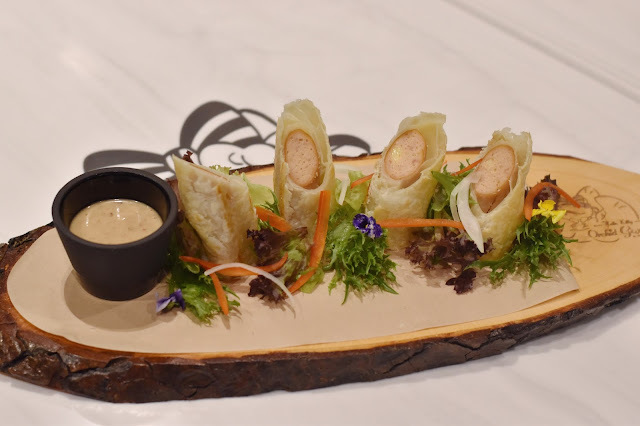 For the food selection, you can expect a fusion of local and Asian influences to be woven into the menu. 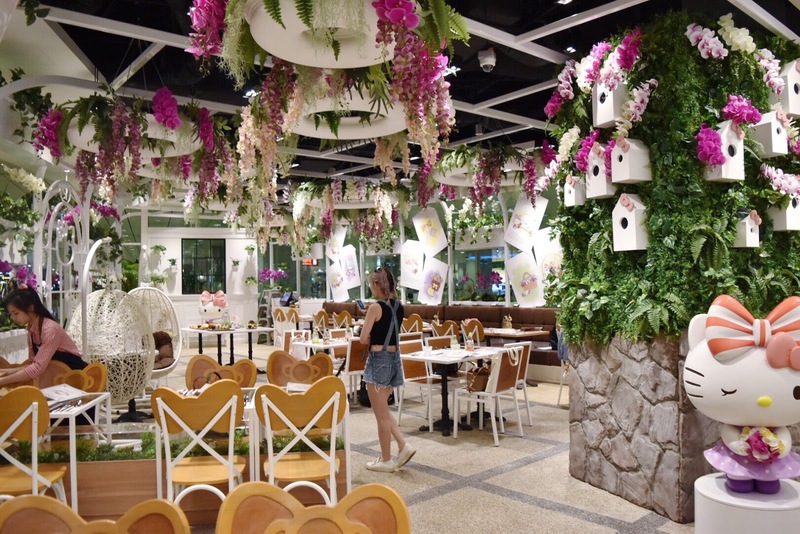 The cafe features a selection of all-day breakfast delights, mains, sharing dishes as well as Hell Kitty inspired desserts. 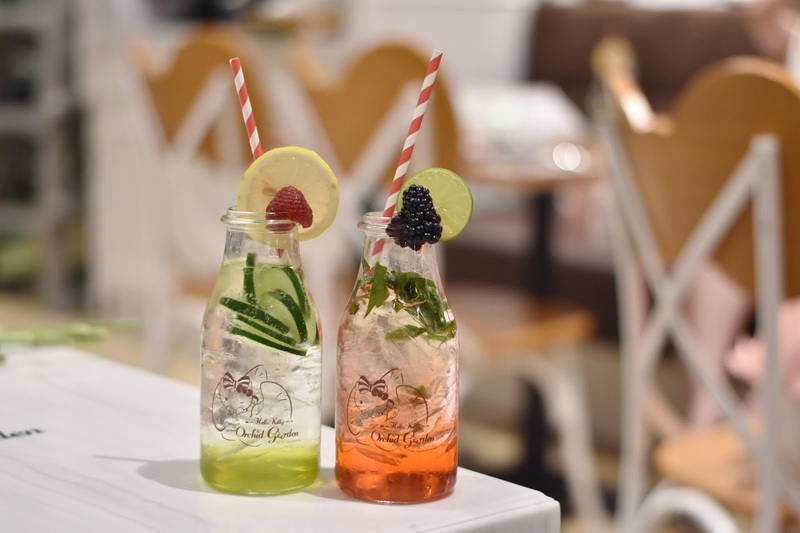 Most of the food will be served with wooden, ceramic and glassware to complement the garden theme. Some notable dishes include the Big Breakfast Surprise (S$18.50), Cowabunga! 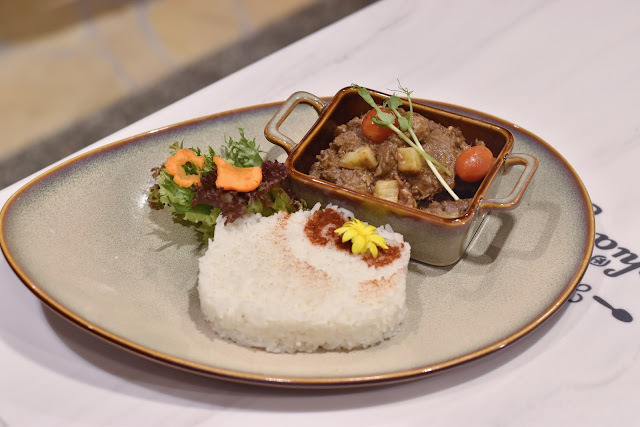 Wagyu (S$24) which is a rendition of the Singaporean favorite beef rendang Nonya dish as well as the Pandan Panna Cotta! 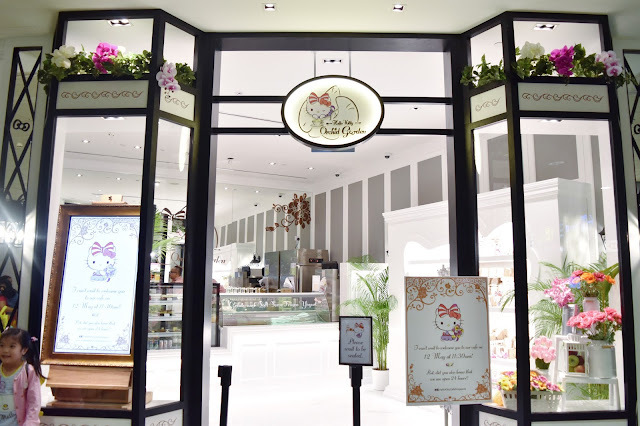 Another fun fact about Hello Kitty Orchid Garden is also that they import their very own gelatos that are exclusive to the cafe! 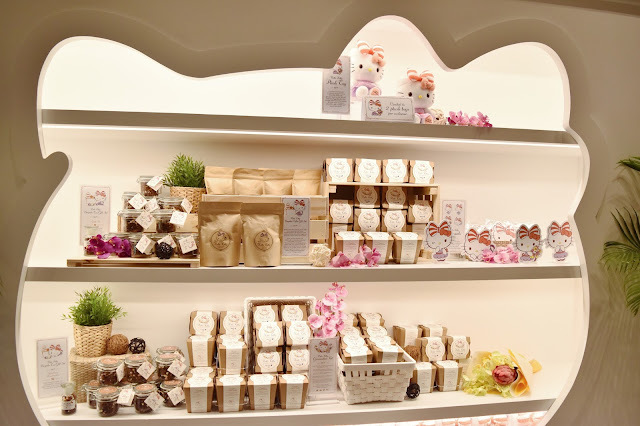 Our favourites were the Chocolate Peanut Buttercup as well as the Pistachio flavours!